Therapeutic Tapping and Hiking - Cool! Sometimes just being outdoors, enjoying beautiful scenery and nice weather can be a form of therapy itself. Having a coach along to listen to your challenges, support you, and facilitate your healing makes it that much sweeter. That’s why we offer Therapeutic Hiking as a platform for emotional venting, healing, and transformation. 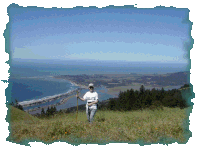 If you already enjoy a healthy hike in the redwoods or on the beach to clear your mind, then we think you’ll love Therapeutic Hiking . Lindsay knows the Marin hills, Mt. Tam trails, and dozens of creek, waterfall, and beach hikes like the back of her hand. Therapy hikes have been a successful mainstay of Lindsay’s sessions for years. 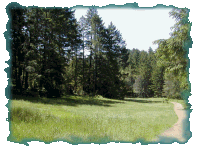 Depending on the client’s abilities and desires, we offer 1 to 3 hour hikes throughout Marin County with varied levels of difficulty. We generally use less-traveled trails for maximum privacy and peace. If it’s necessary to stop for a specific process or exercise, we do it discreetly off the trail. Sometimes we incorporate a lunch or other break into the hike and invite another family member or significant other to join us. One of the many benefits or thographic is it’s flexibility to accommodate the client’s needs. Hiking may not be everyone’s cup of tea, but for those who prefer exercising in the outdoors to sitting on a couch, this may be the thing for you. 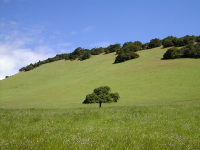 Be sure to let us know if Therapeutic Hiking appeals to you. Rates depend on the length of the hike and number of clients, but generally a 2-hour hike is billed at the 90 minute rate and these are almost always private sessions.